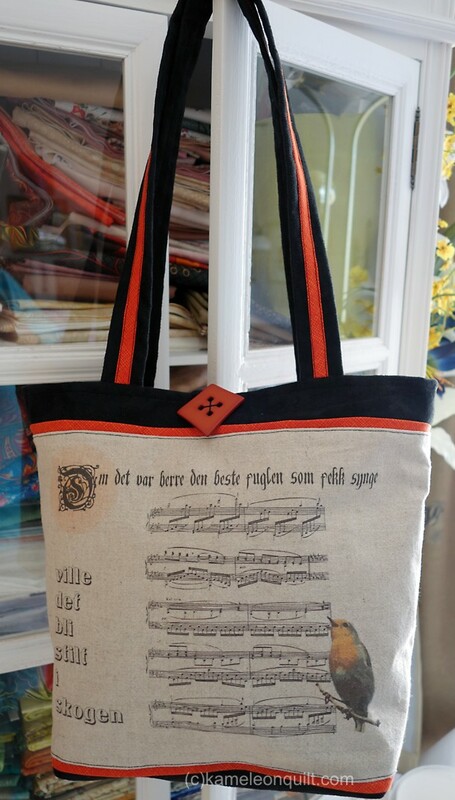 I have been on a roll lately, making bags. 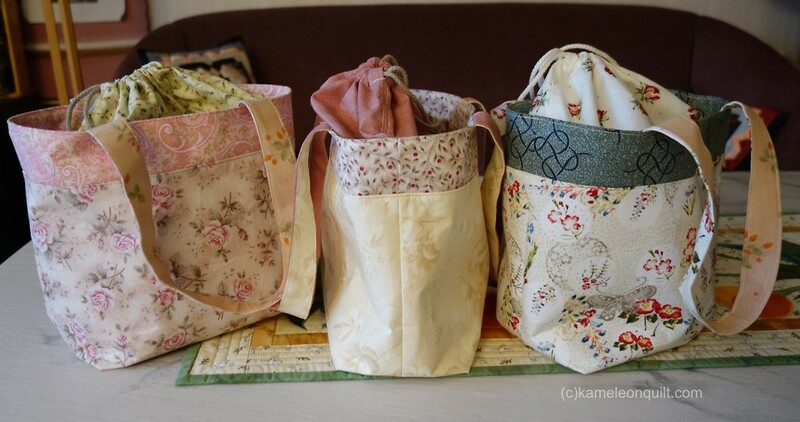 I was inspired by a super easy tutorial on Pink Penguin’s blog, and suddenly I had made seven small bags. 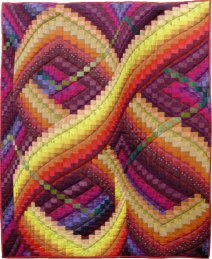 Six of them can be seen below, – I lengthened the handles a bit, and changed the shape of the bottom compared to the original. Four of them have been sold or given away already. Then I wanted to try computer printing on linen, and made a couple of designs that fitted on a large sheet. The result can be seen below. I like longer handles so I can carry the bag on my shoulder, even if the bag itself is not very large. The black fabric is furniture suede, the others are linen and cotton. 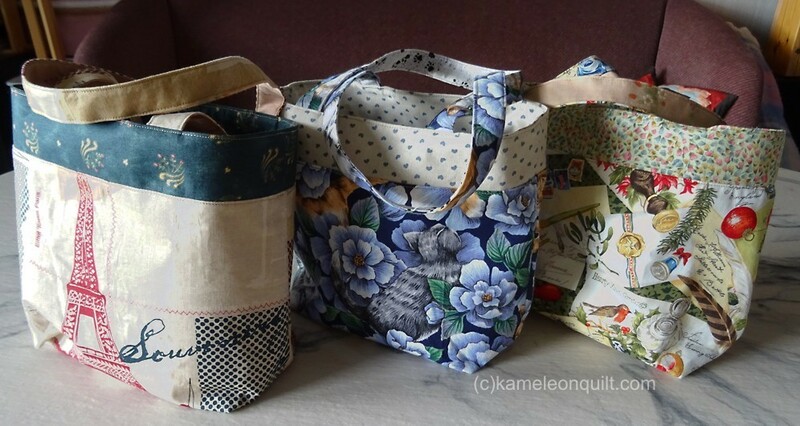 In between commissions and sewing for the grandchildren, I have managed to get a few bags done this autumn. I drew a mosaic leaf pattern which I appliqued using a variety of cotton fabrics, plus a few bits of gold lamé scattered in between. 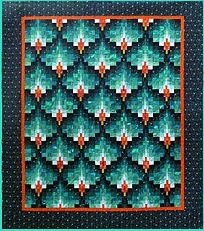 Then I quilted a few leafs on each side and did some ecco quilting around each leaf. 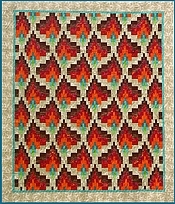 The main fabrics are linen and linen blends. 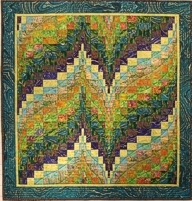 The green bags have appliqued mosaic leafs on both sides, while the neutral coloured one has one applique leaf, and only a quilted pattern on the other side. I also made a couple of purple bags similar to this one using my fabric prints. 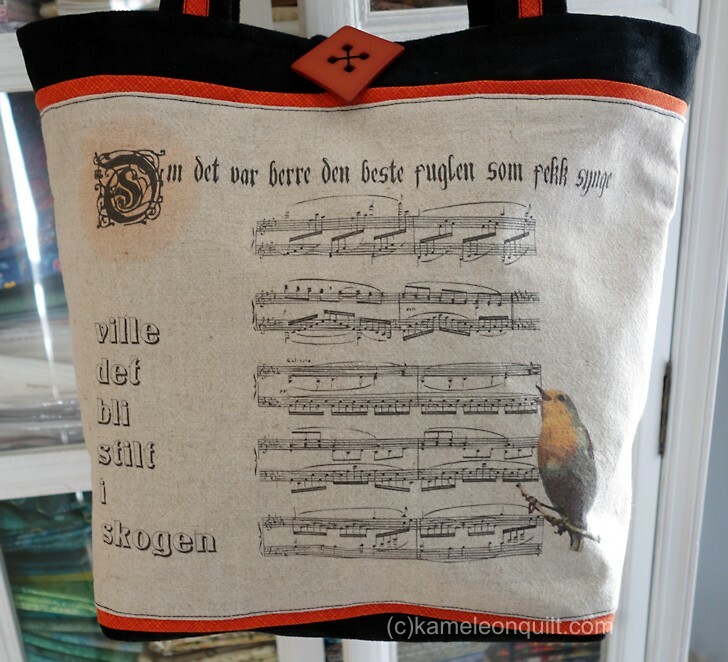 The original bag was made from silk noile, but the ones above have linen blends as the main fabric. 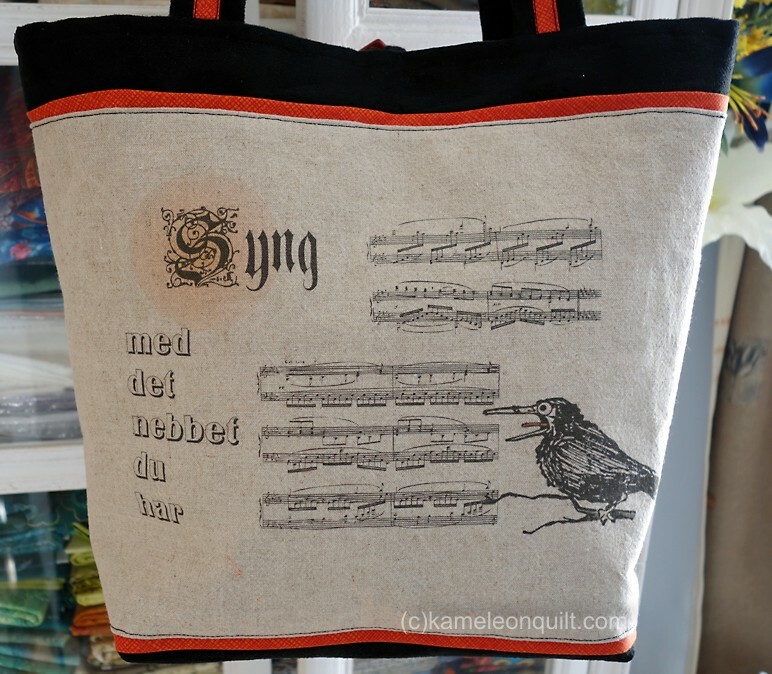 … while the oval fabric prints on the other side are different on the two bags. 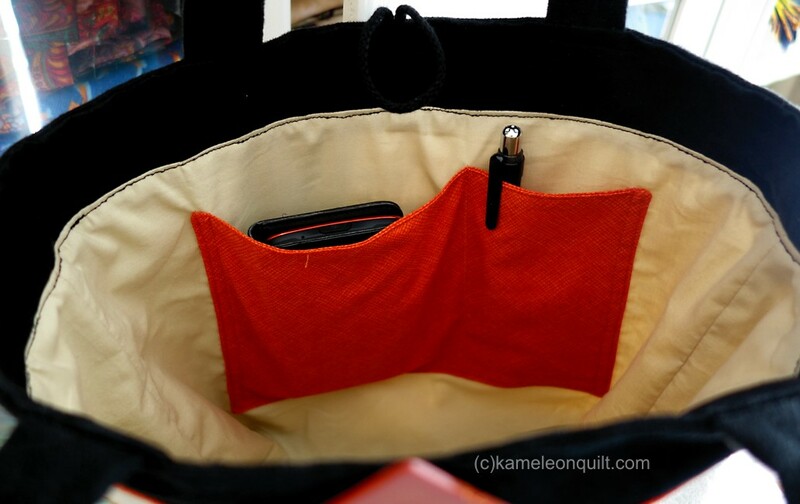 All the bags have a lining with pockets and a zippered pocket. These bags will be for sale.